🌊☀️🐬Perheystävällinen huoneisto sijaitsee Navarran rannalla. We enjoyed our saty at Navarre Beach. The condo was great and the location in the bay was very nice. Thank you so much for being such a wonderful guest, an we would love to have you back!! Great place for small family! Everything was nice and clean fun place to stay and fish! Thank you so much!!! We're glad you enjoyed your vacation an hope to have you back!! Thanks again!! Overall, we had a great experience at Navarre Beach. Our condo was just the right size for the two of us, and Denny, the owner, was very helpful and pleasant about the questions that we had. I did not give this 5 stars because the condo furnishings need a bit of a facelift. My husband could also have used a channel guide for the TV. That being said, the property is lovely, located on the bay, and very convenient to a beautiful beach. Thank you very much!!! any an all feedback helps me make sure everything is great for everyone's vacation, all the furnishings were bought new a little over 2yrs ago some have recently been replaced such as mattresess both bed an sleeper sofa an recliner so anything that needs upgrading plz let me know we want every guest to have a wonderful vacation an anything i can do feel free to call thats why im hear we operate it ourselves so anytime theres a problem or question feel free to call, thank you for taking the time to give me a rating an feedback we hope you return an we will strive to make your stay better each time! Thanks again we were blessed to have you both as guest an enjoyed our conversation!!! This condo was perfect for my husband & I! It was cute, clean & had everything we needed! I even brought several items that were already stocked. 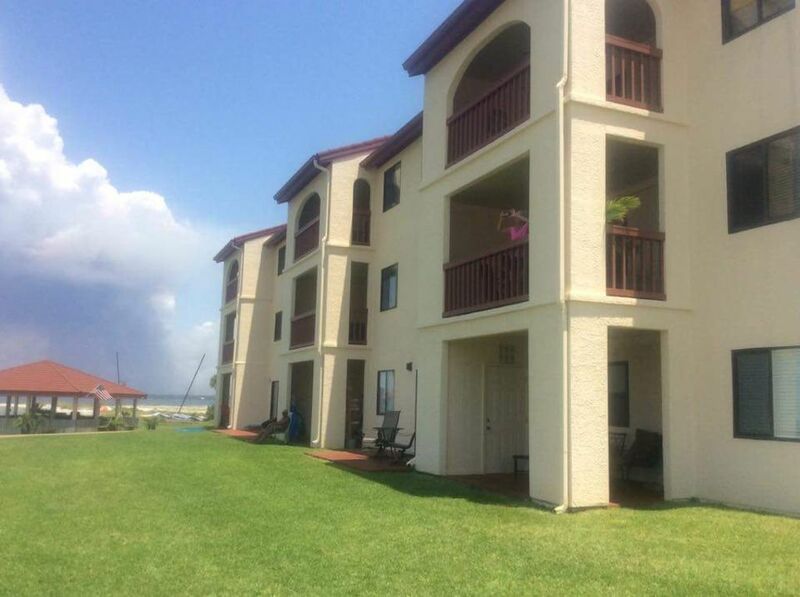 We love, love Navarre & this quite condo helped make our aniv/my bday trip even better! Thank you!!! thabk you so much!! We're so glad you enjoyed your vacation an hope you will return in the future!! Thank you again!!! There is an additional $40.00 Cleaning Fee, Rates are Subject to Change. If you cancel within 30 days prior to Check in time your deposit will not be refunded. There will be a $50.00 up charge for each night of spring break, also for the nights of Memorial Day, Fourth of July, and Labor Day.